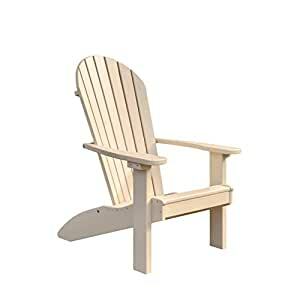 Bringing together the classic comfort and style of Adirondack furniture, this Poly Adirondack Chair is proudly handcrafted with plastic from recycled milk jugs. Settling into the distinctively curved fan backs and deeply contoured seats are sure to sooth away the stress of a long day at work as you relax on your deck or patio with your favorite beverage and a friend. The smooth graceful lines of this chair combined with hidden fasteners gives this chair an eye appeal that matches its comfort.